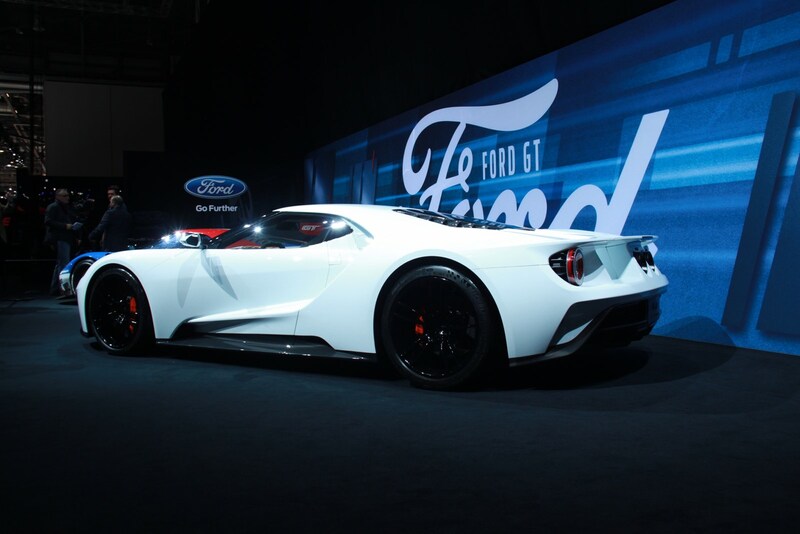 To find this year’s Ford performance area at the 2016 Geneva Motor Show we had to go up the stairs of the Ford stand to find both a white Ford GT and the Ford GTE race car tucked away in a corner. 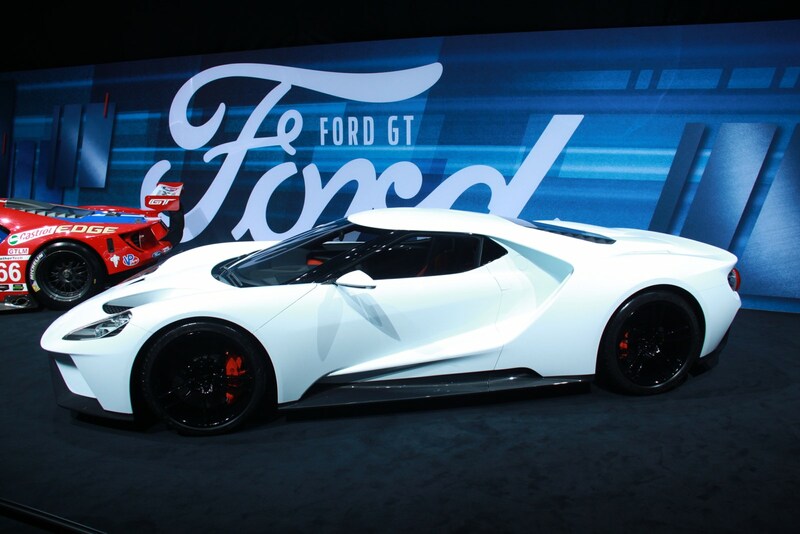 The Ford GT we have of course seen on many shows the past few years, although this is the first one shown in this beautiful white spec. 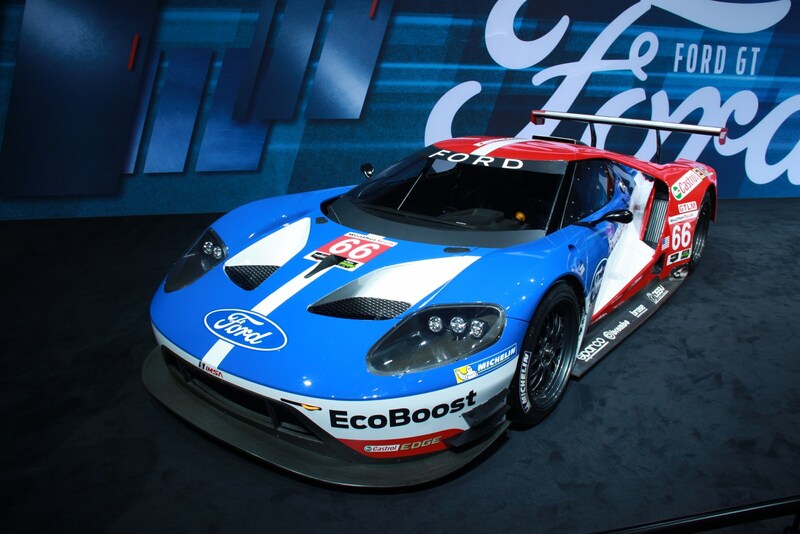 The Ford GT GTE race car on display requires a bit of more explaining. 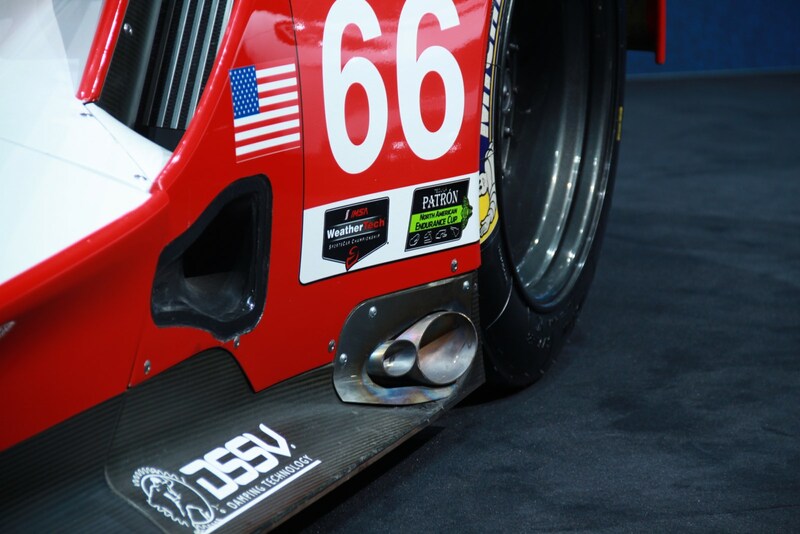 This particular example is driven by German endurance race driver Stefan Mücke, who we’ve also had the opportunity to interview about this particular race car. 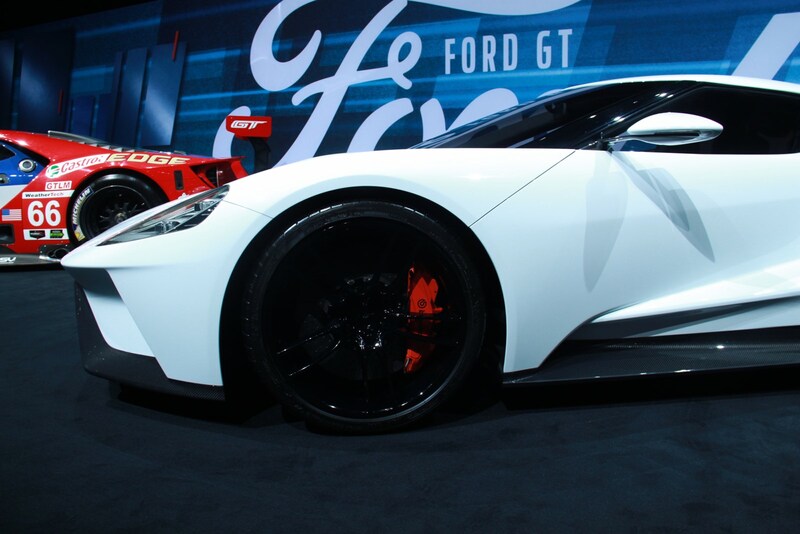 The Ford GT GTE is Ford’s official endurance vehicle for the 24 hours of Le Mans. 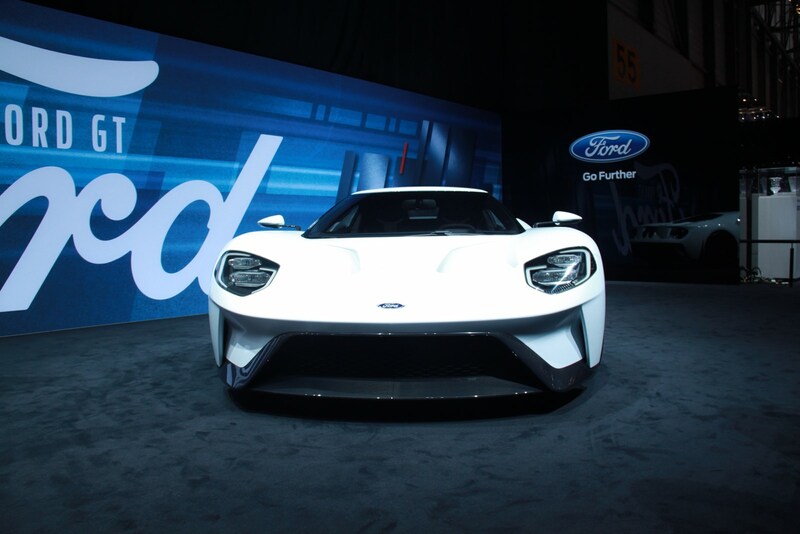 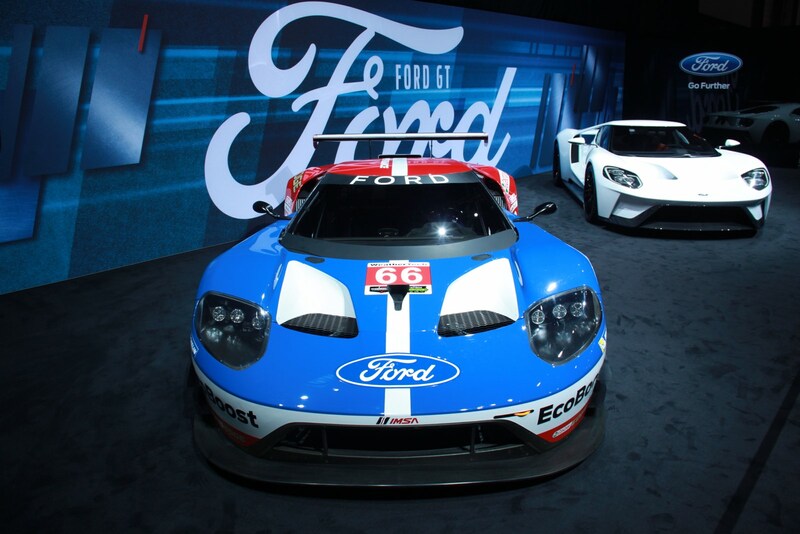 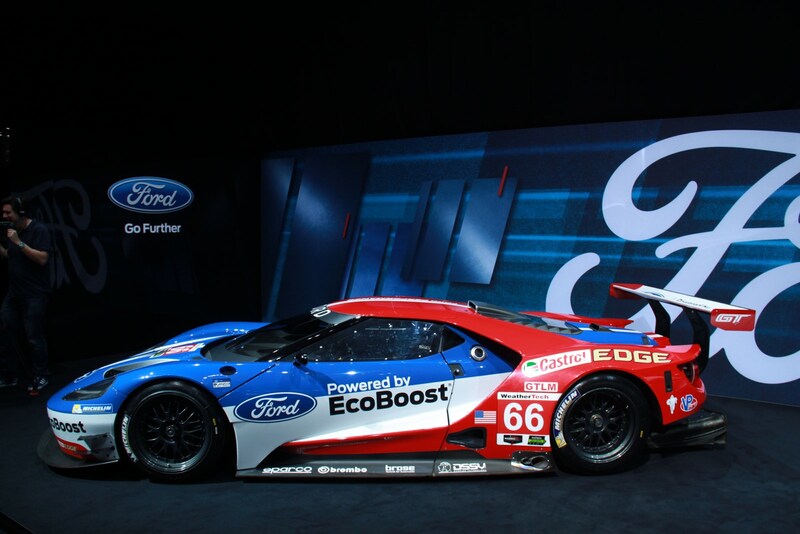 Based on the new Ford GT, the 2016 Ford GT GTE will compete in both the FIA World Endurance Championship and TUDOR United SportsCar Championship. 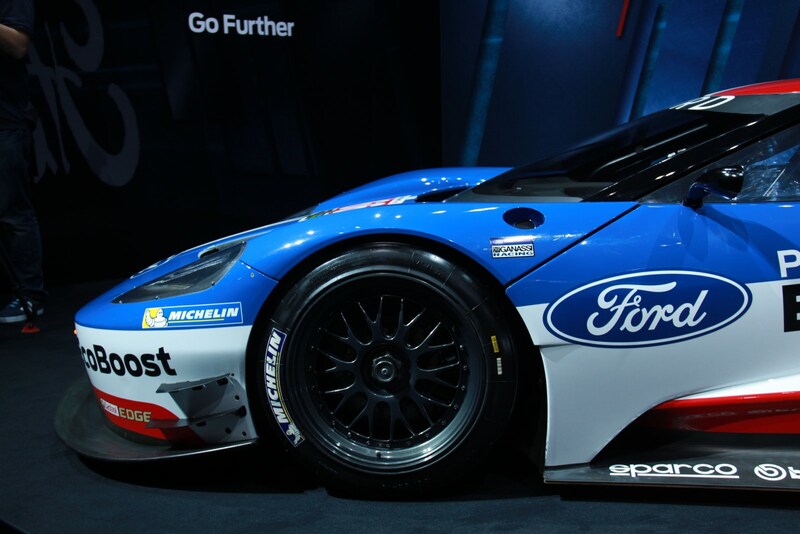 In the FIA WEC the new Ford GT GTE will compete in the GTE-Pro category which ranks just below the Le Mans Prototypes. 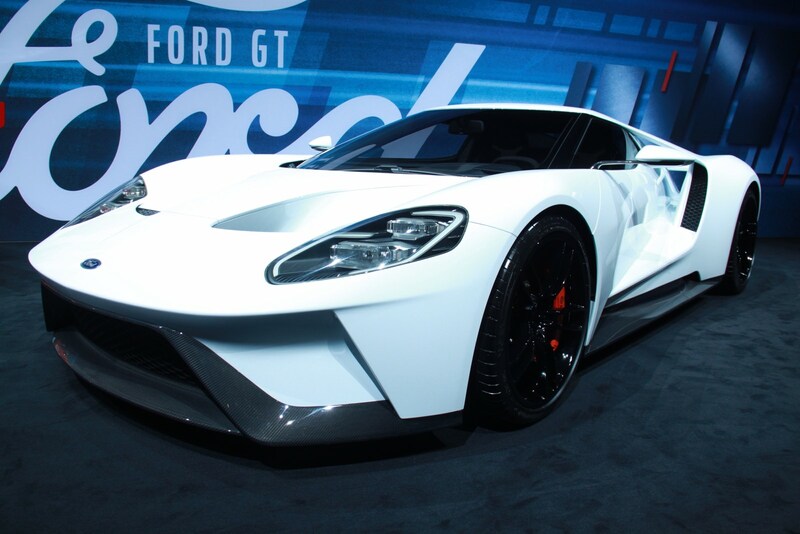 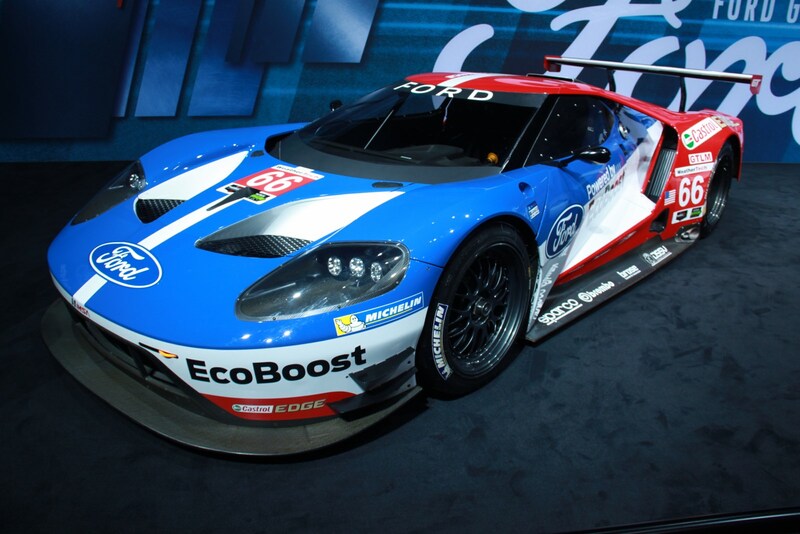 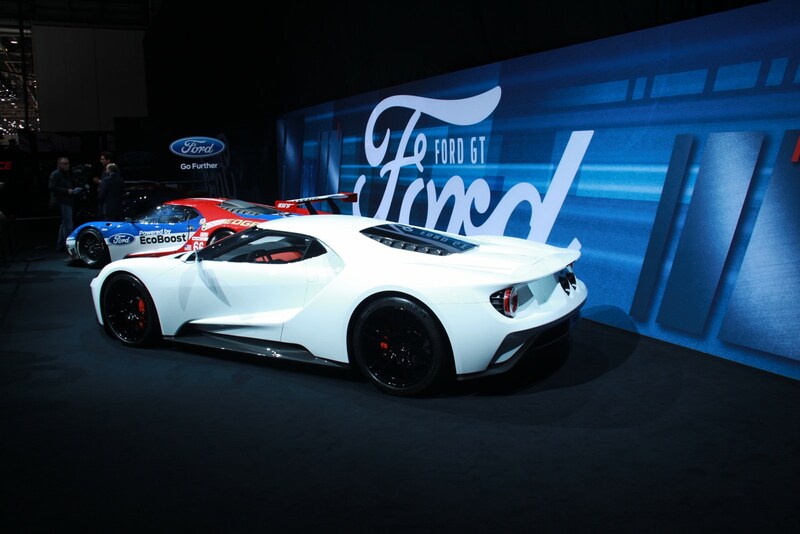 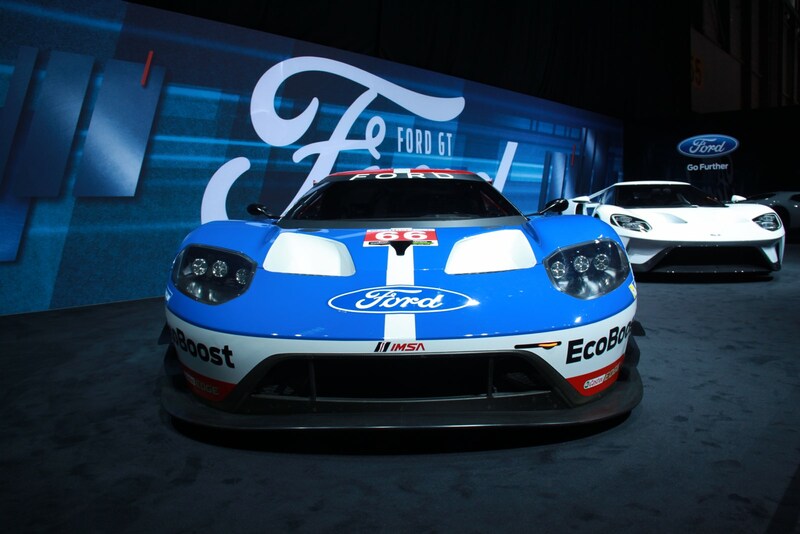 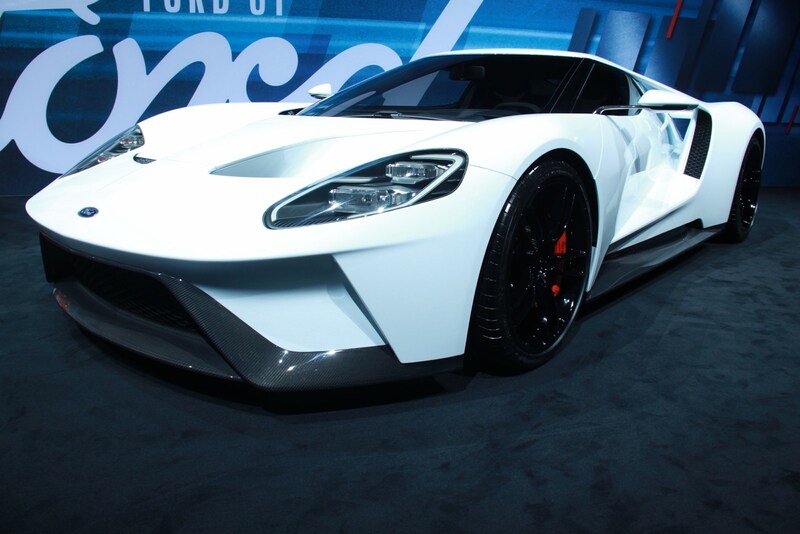 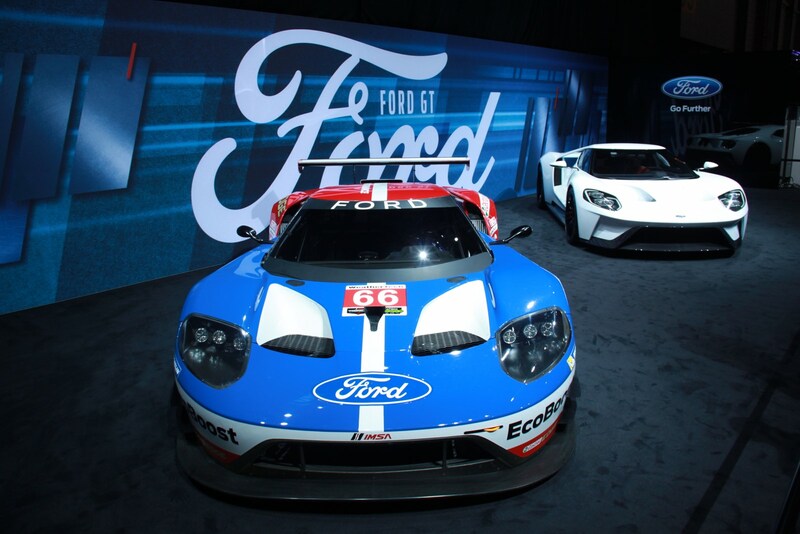 The Ford GT racecar is powered by the new 3.5 liter V6 twin-turbocharged Ford EcoBoost engine. 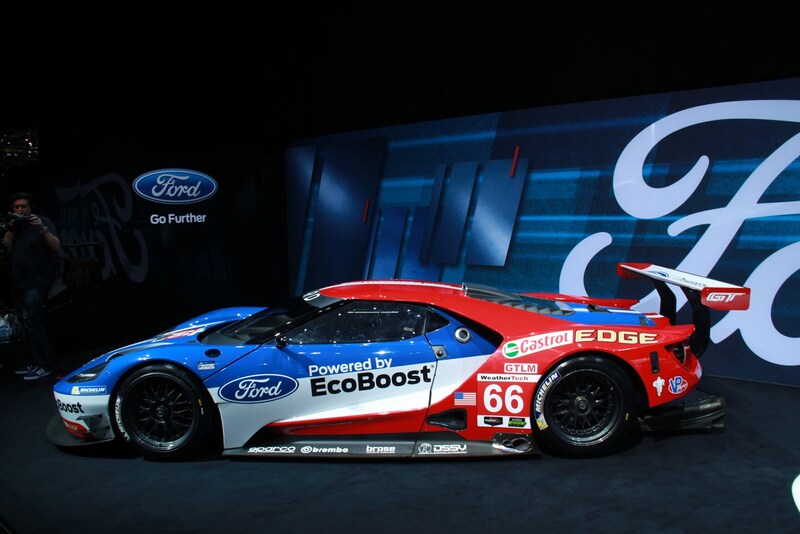 Ford Performance claims that the new racecar will being smart innovations to GTE-Pro once it starts competing. 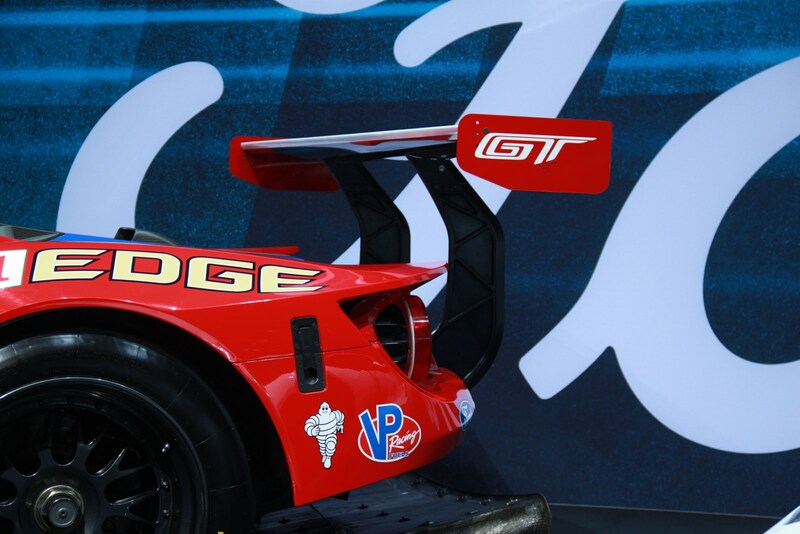 Among those innovations include new aerodynamics that ensure maximum downforce with minimal drag and efficient stability. 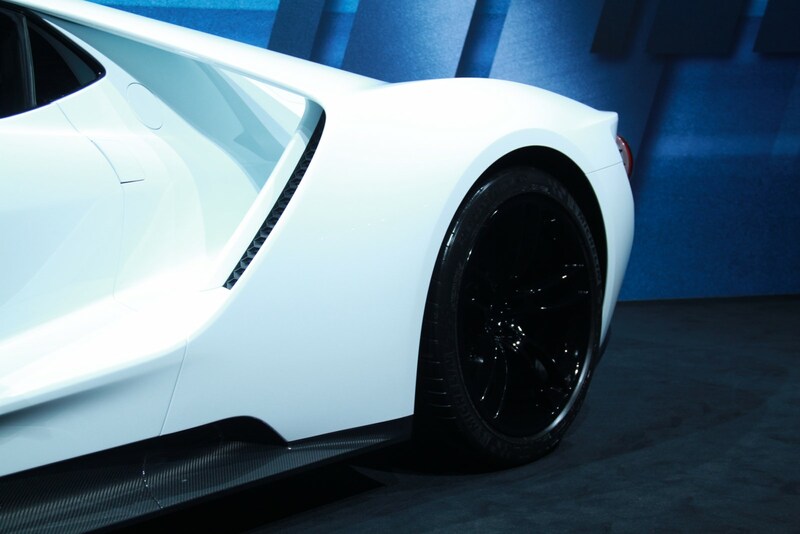 It features an exceptionally light chassis thanks to the new lightweight composites and carbon fiber. 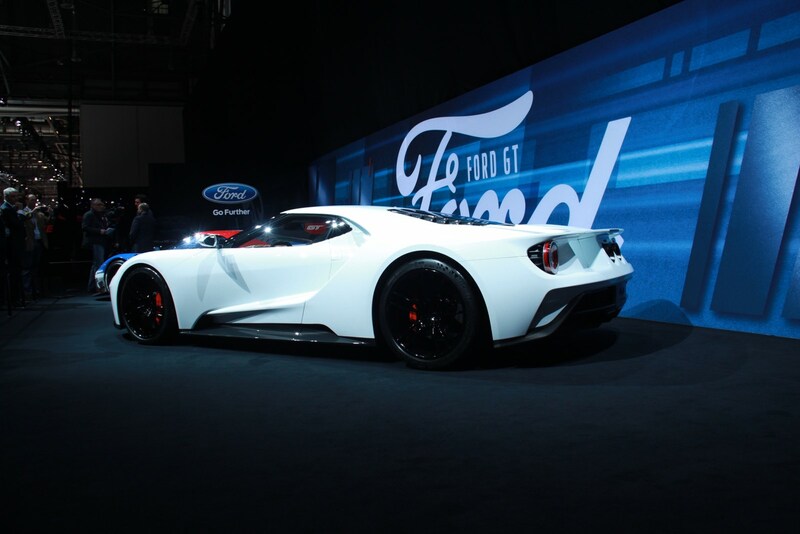 For full details, please take a look at our earlier Ford GT GTE article. 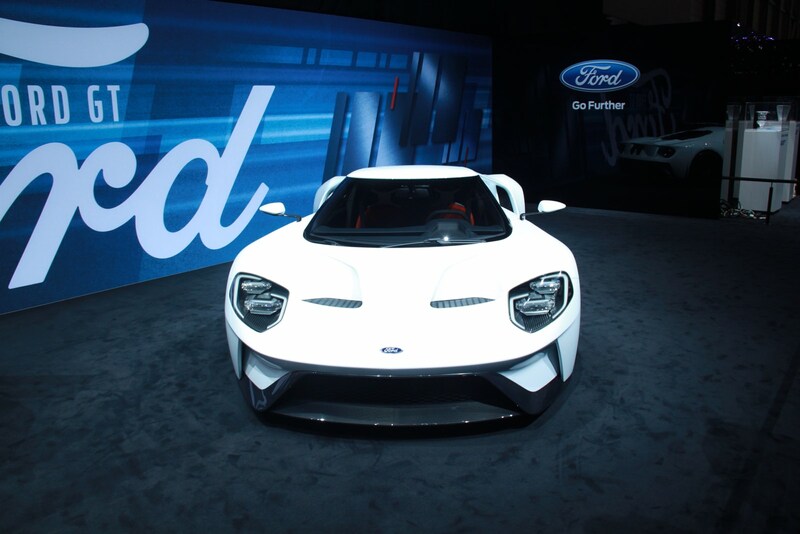 For full Geneva Motor Show 2016 coverage, please click through to our dedicated news channel.